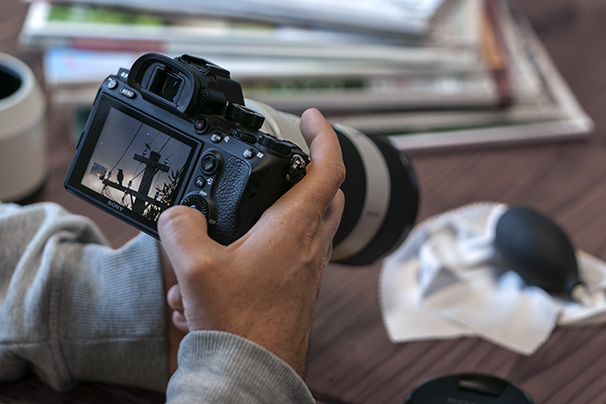 If you’ve been following the mirrorless camera scene like we have, you’ll also know that Nikon, Canon, and Panasonic have officially hopped aboard the Full Frame Express Train, full steam ahead. In the last couple of months, all three brands announced some pretty exciting full-frame products. Panasonic is no stranger to the mirrorless game, but with Canon and Nikon joining the fray, the spotlight is back on how camera technology is evolving. 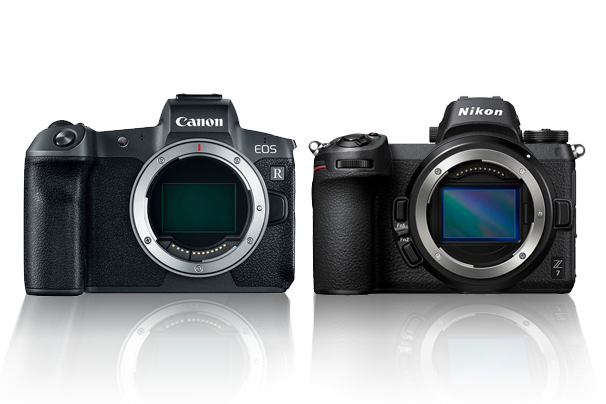 The new Canon EOS R and Nikon Z7 full frame mirrorless cameras. Fitting full frame sensors into mirrorless bodies had its own set of challenges. To be a viable option for photographers, said challenges had to be overcome fast to gain relevance amidst long-standing competition. This action seemed to catalyse the mirrorless market, no longer willing to be overlooked. Electronic viewfinders were terrible, so manufacturers found ways to improve them. Autofocus wasn’t as good as DSLRs, so they built new algorithms to compensate. The list goes on, but the point remains; these camera makers had to innovate. Today, for the most part, the playing field is shockingly even. No matter who you are, or what style you want to achieve, the right camera for you is out there, whether it has a mirror or not. 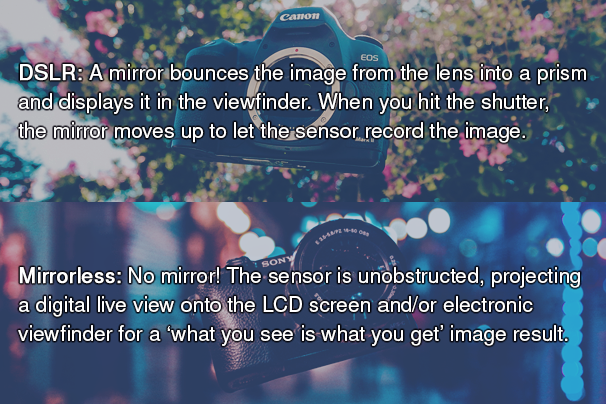 For those who aren’t sure, here’s a quick recap on the difference between mirrorless and DSLRs. It’s not a stretch to say mirrorless cameras paved the way for a myriad of technological improvements (from both camps) in a relatively short amount of time. Their design and functions have improved much faster than DSLRs over the last decade. We’ve all heard the murmurs. “Mirrorless cameras are the future”. This doesn’t translate to mirrorless being the only way forward. More that innovation is back at the helm and steering our cameras toward imminent glory. And honestly, that’s great for everyone, especially the consumer because we do love to buy things. The 70-200mm f4 lens on this Sony a7RIII isn’t much smaller than its DSLR counterparts. In the past, the big draw of mirrorless cameras was their smaller weight and size. Many of them also look more like cameras our parents or grandparents had, lending them a nostalgic appeal. Early mobiles were hideous, gigantic bricks. As technology advanced, phones got smaller. Style became a factor. It was an all-out race to cram the most tech into the smallest, prettiest device. We’ve since come full circle: our flagship phones are sprawling glass monoliths with high-res screens no smaller than 5.5-inches. Ironic, no? Based on what we’ve seen lately, full frame mirrorless cameras may be headed down a similar path, if only for the sake of better ergonomics. For a while, the camera world seemed stagnant, resting comfortably on the obvious differences between target markets, with only a few incremental improvements here and there. The arrival of full-frame mirrorless cameras rejuvenated the need for and importance of competition. Technology is progressing rapidly and it feels like camera makers are listening to their customers and once again racing to squeeze the best performance they can into each new offering, no matter which side of the fence they’re on. With all the ways we blaze through information and technology, they can no longer afford to be static in a newly refreshed and ever-changing landscape. The Mirrorless Movement is in full swing and, if it has redirected the course of photography’s future, it’s for the better as we photographers only stand to gain from it. 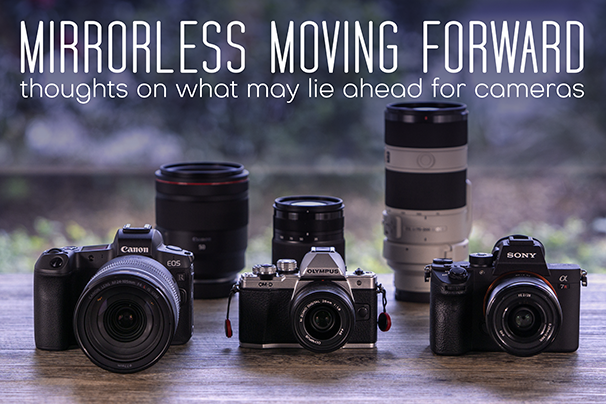 Thinking of Moving Towards Mirrorless? Jump on our website and explore our extensive mirrorless range! 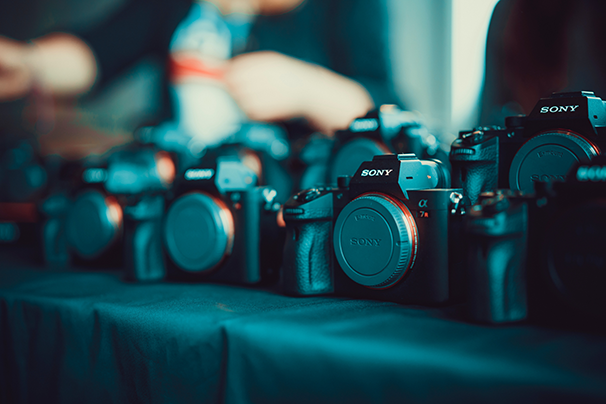 We've got all the latest models from major brands and would love to help you find the perfect camera.